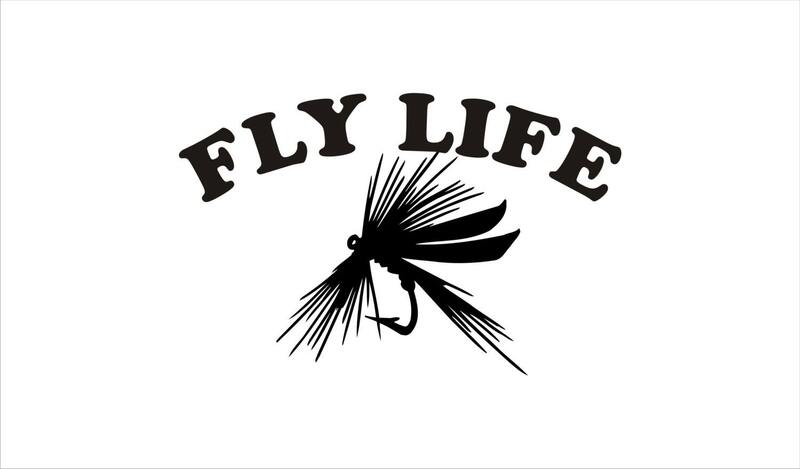 Fly Life decal- Vinyl Fly Life decal. Great for avid fly anglers. These decals will stick to any smooth, clean surface; car, truck, RV, boat, canoe, kayak, tackle box, cooler, etc. Display this cool decal to show everyone your passion for fly fishing. Easy to apply and will include application instruction. ******ALL of our customers will receive a FREE surprise gift. Great deal and great customer service. Will do business with again!